Remember the 1980s Nintendo 8-bit classic light gun shooter, Duck Hunt? 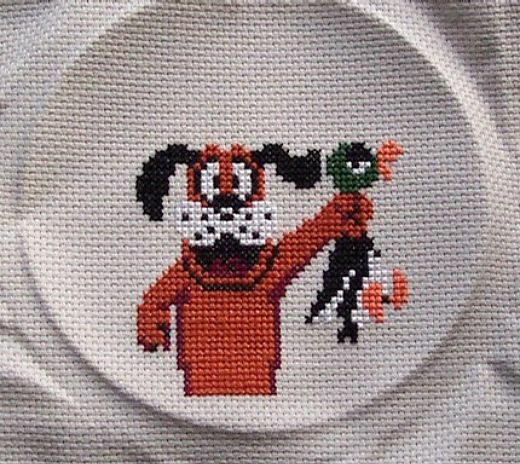 Now you can have the dog and duck from the retro game immortalized on your wall, thanks to this clever cross-stitch that recently turned up on Etsy. 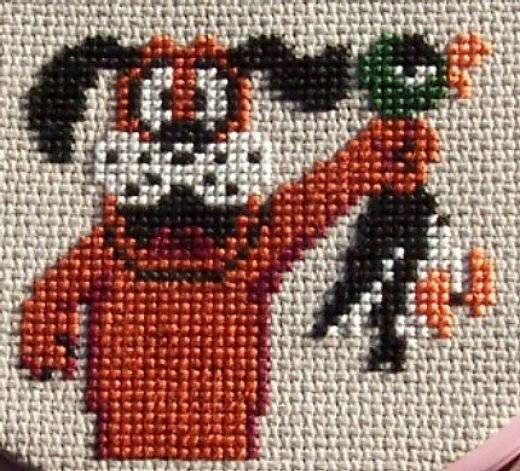 Created by master of thread johloh, the canine and avian duke it out using hundreds of pixel-perfect stitches. 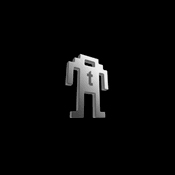 Be sure to check out some other cool gaming crafts over on johloh’s site Sprite Stitch. Or, if you’re just craving a round of Duck Hunt right this minute, ask and ye shall receive.